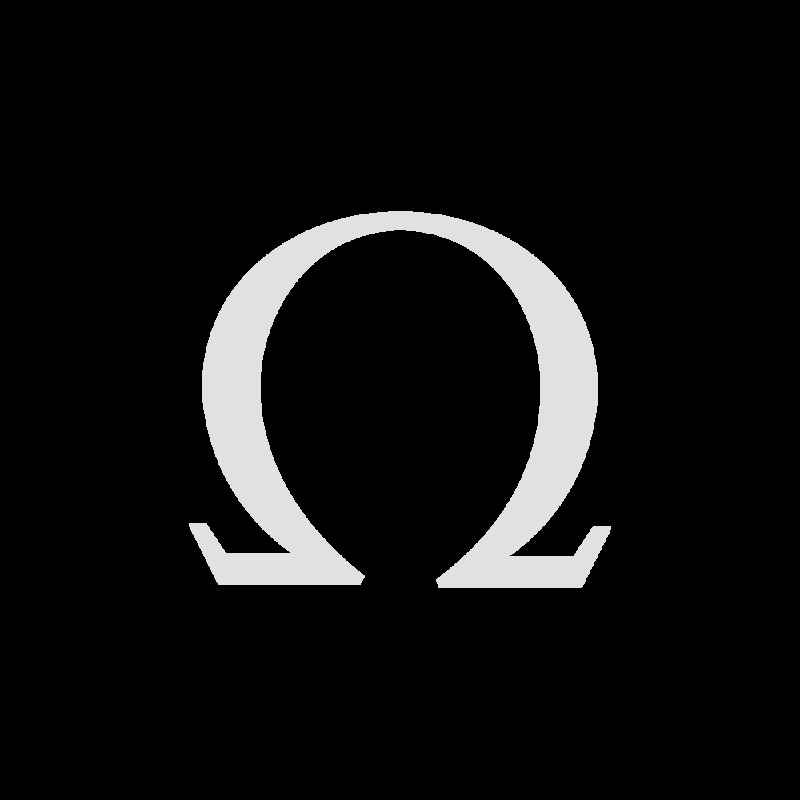 Since its launch more than half a century ago, the OMEGA Speedmaster has been the classic chronograph, known for its robust reliability and timeless design. And since the 21st of July 1969, when it was first worn on the lunar surface, it has been popularly known as the Moonwatch. 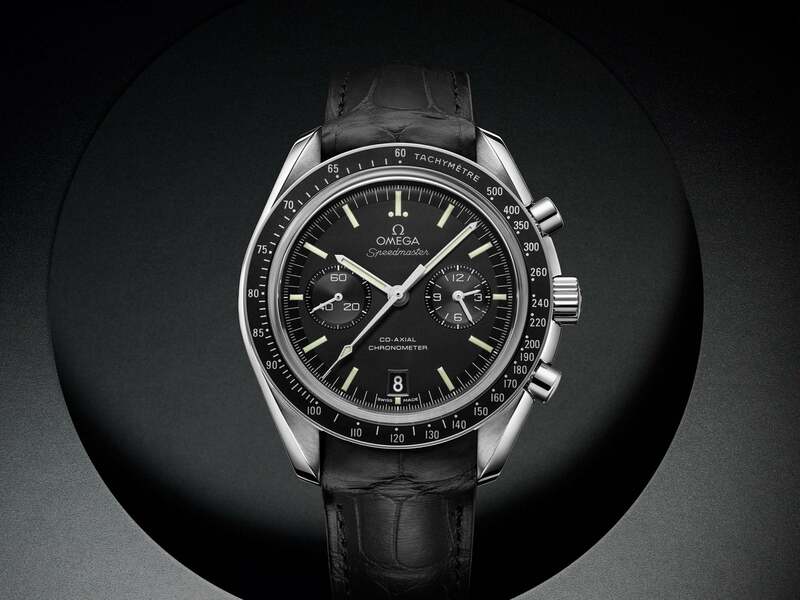 Inspired by its legendary predecessor, the Speedmaster Moonwatch Chronograph is set to establish its own reputation. It shares some core elements with the original Speedmaster Professional but has features that will attract new fans to the world’s favourite chronograph. 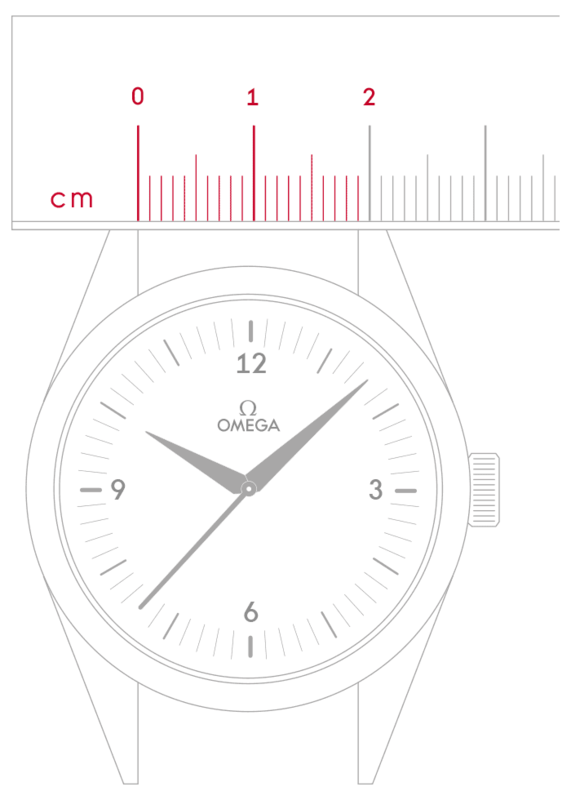 "...two sub-dials instead of the three normally associated with the iconic watch family." The Speedmaster Moonwatch Chronograph has the 44.25 mm stainless steel case that has long been associated with the Speedmaster Professional. Presented on a stainless steel bracelet or a black leather strap, this watch has a bevelled black dial with white transferred elements and varnished white hands. 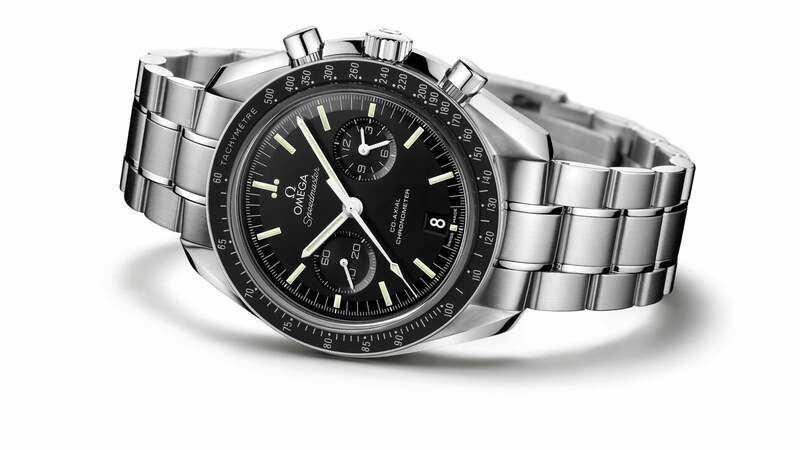 The familiar Speedmaster tachymeter scale is found on the black bezel. 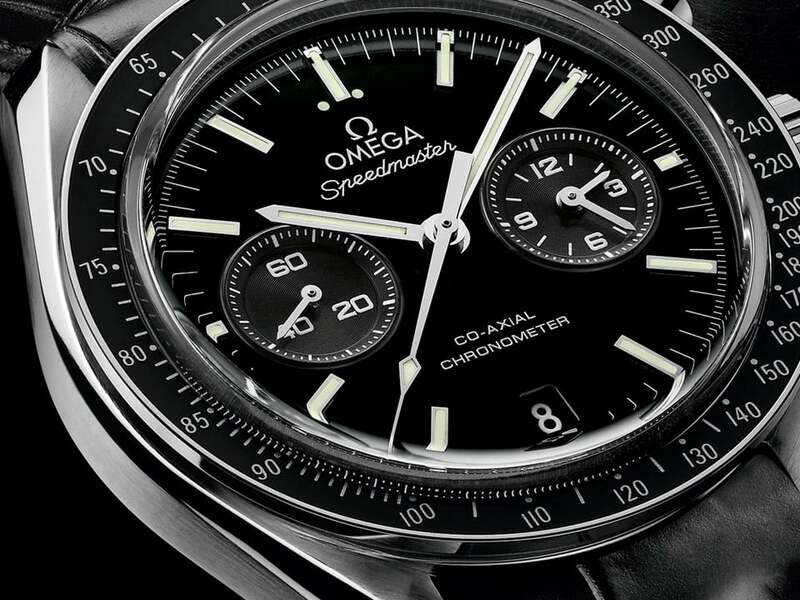 The dial of the Speedmaster Moonwatch Chronograph has two sub-dials instead of the three associated with the original Speedmaster. This is made possible by the placement of the 12-hour and 60-minute counters on the same sub-dial at 3 o’clock, allowing an intuitive reading of the elapsed time. The small seconds sub-dial is still found at 9 o’clock on the dial. 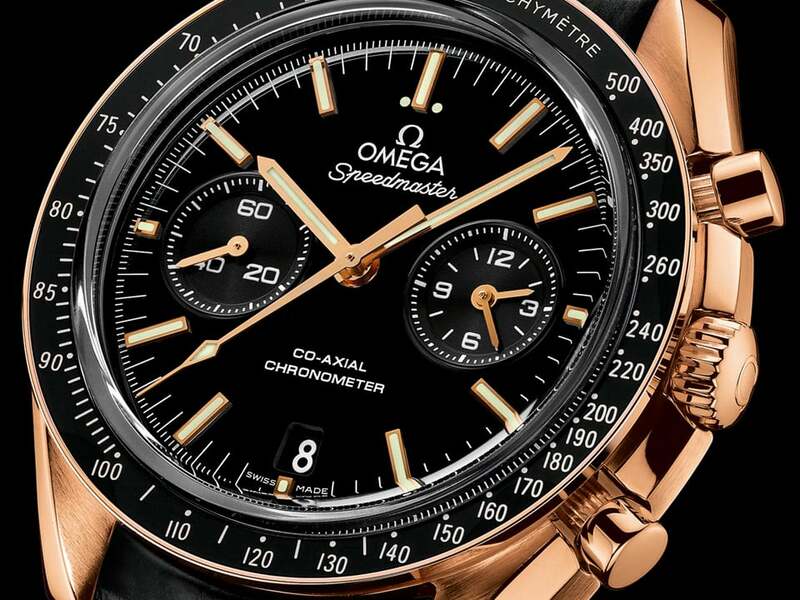 At the heart of the Speedmaster Moonwatch Chronograph is the OMEGA Co-Axial calibre 9300. The 18K orange gold model is powered by the OMEGA Co-Axial calibre 9301 with an 18K red gold balance bridge and a special luxury finish. 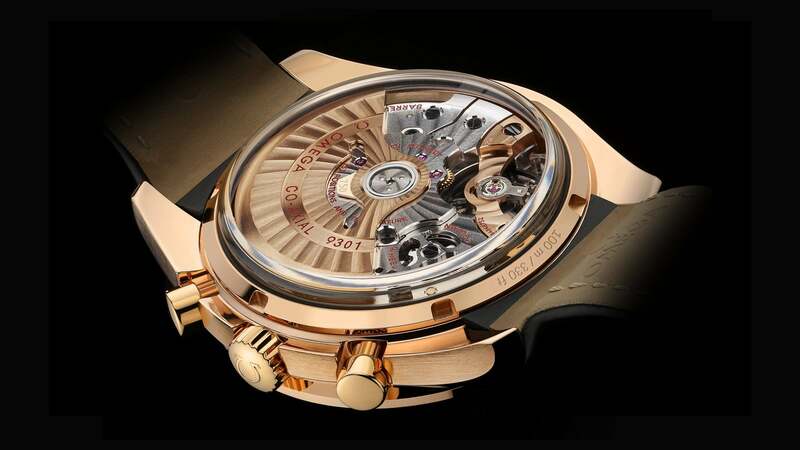 Each chronograph’s revolutionary mechanical movement is visible through the sapphire crystal caseback. In addition to the stainless steel model, there is a Speedmaster Moonwatch Chronograph with a titanium case, a lacquered blue dial and a blue ceramic bezel on a titanium bracelet or blue leather strap. Another features a striking 18K orange gold case with matching indexes and hands and a black dial. 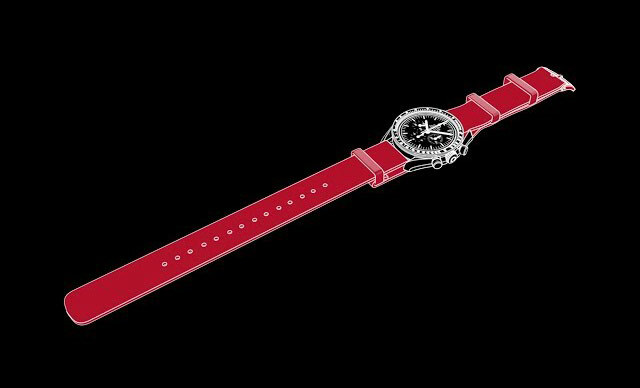 This version is presented on a black leather strap.